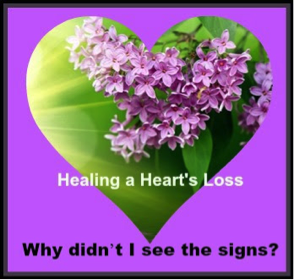 Healing a Hearts Loss » Why didn’t I see the signs? Why didn’t I see the signs? Often I counsel individuals who have experienced the suicide death of someone they care deeply about. One of the most common questions I hear is “Why didn’t I see the signs”? What if that individual made certain you did not see any signs? There are a few variables to consider when asking “Why didn’t I see the signs”? Did you live close enough to that person to see what was going on in their life? Did this person share their concerns with you? How well did you really know this person? Sometimes, a suicide death can be well thought out and planned for months; it is not until after the fact, that in hind sight you realize a specific comment or action may have been a sign of things to come. Life insurance policies put in place or amounts increased, saying “good bye” to you in a manner that seemed a bit different or talking about death and what might life be like without them there anymore may be missed signs. Who wants to think of their loved one dying by suicide? Until suicide becomes a part of your life in some fashion your thoughts do not go to the signs of suicide. Sometimes, suicide death is a sudden decision that leaves others wondering what happened! There were no signs; life seemed great for that individual. Comments such as; “I just talked to him this morning”, “Things were fine when I left for work”, “I know she was struggling with _____, but I didn’t think it was that bad, I have gone through a similar challenge”. How could I help when I didn’t know there was a problem? Many people who have had someone die by suicide are blindsided and live with the question, “Why didn’t I see the signs”? You are not alone. Perhaps the individual did not want you to know. For some who die by suicide, I have been told they had attempted a few or several times before they succeeded. One child told her mom that she was stopped this time, but the next time you won’t be able to, because you won’t know. Consider the individual who unbeknownst to you had struggled all of their life with not “feeling” like other people do and found it difficult to enjoy their life. From the outside, family and friends thought life was good for that person, but “that person” did not want them to see anything else. “That person” pretended to be okay around you and you did not know this. What could you have done in this situation? There were no signs to see. When thinking about this, have compassion for yourself. Suicide often leaves many unanswered questions.